It’s pretty astounding when you consider that what is undoubtedly the most hastily put together Disney attraction in history has endured for 50 years. “it’s a small world” – which originally opened as an exhibit for Pepsi-Cola at the New York World’s Fair on April 22, 1964 – was thrown together at the last minute while WED Enterprises was hard at work building three other exhibits – Illinois state’s Great Moments with Mr. Lincoln, Ford’s Magic Skyway, and General Electric’s Progressland (now known as the “Carousel of Progress”). But how has it lasted this long? 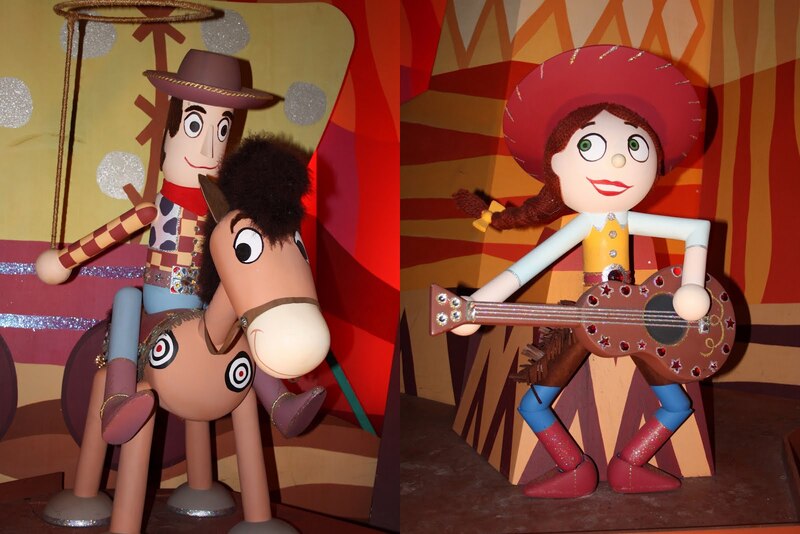 If we boil it down to its basic elements, “small world” is just a series of dolls dressed in costume, placed among painted flats inside a large show building. Before examining more closely, we might say that description also fits Superstar Limo, the infamous dark ride that opened at California Adventure in 2001 only to close permanently in less than a year. Why did Superstar Limo fail so hard, whereas “small world” is still going strong and has had newer versions introduced in every single Disney “Magic Kingdom”-style park across the globe? Well, for one, there is the song. And oh, what a song it is. Rather than playing each country’s national anthem, which would’ve been a cacophony of sound, the Sherman Brothers wrote one song that could be easily sung in so many languages it would later become one of the most widely played songs ever written. They originally played it as a ballad – only later was it sped up to the upbeat version we’re familiar with. Yes, the song is catchy – the verse melody and chorus melody intertwine so perfectly it can get lodged into your head for weeks. Many people say they hate the song for this reason (maybe you do too!) however the same criticism might be said for just about any popular song currently playing on the radio, only “small world” has a much more positive message (more on that in a minute). Not only does the song play at all 5 of Disney’s theme park locations – it also plays on radio, TV, film, video games, apps, even ice cream trucks. Indeed, the song’s “annoying” qualities, along with the many languages, may have helped it become as widely known as it is today. Another reason “small world” has endured is because it is beautiful – a work of art you can float right through. I consider it to be Mary Blair’s greatest artistic achievement (in addition to the work of many talented people including Marc and Alice Davis, Rolly Crump and others), and it still shines brightly today, in spite of several dozen irrelevant Disney characters which were added in 2009 (along with a self-indulgent “Up with America!” room with embarrassing Woody and Jessie toy figures). I wish I could convert some “small world” haters if I could only show them what a brilliant artistic statement the attraction is. It is peaceful and comforting, yet surrounds you with patterns and color and visual excitement as your boat floats smoothly past scenes that represent different countries and regions of the world. “Small world” is a favorite among children, of course, but I always felt it is an attraction adults can enjoy as well, with or without kids. It just takes a certain level of maturity and being in touch with your inner child to rise above the people on the “it’s so annoying” bandwagon. I can’t make people see what is right in front of them. I’m sure many misunderstood artists feel the same way. A third reason I think the attraction continues to succeed is its universally positive message. Conceived in the mid-60s in the wake of the Cuban missile crisis, the song’s message of equality and world brotherhood might be perceived today as dated and obvious. However, I think the message is as relevant today as it has ever been. It can’t hurt to remind ourselves that we share the world with 7 billion people and we should try to foster understanding by seeing things from a different point of view. We should try to have compassion for people of all walks of life, not just the people most like ourselves. This world understanding has improved somewhat in recent years by the Internet and the widespread adoption of social media. (I work in social media, so all my posts inevitably discuss social media at some point.) Our world is more connected today than it was even 10 years ago, thanks to platforms such as Facebook and Twitter which can help us create a better understanding of the goings-on in world cultures besides our own. It’s a small, small world, and with technology, we can make it even smaller. In fact, Richard Sherman is doing a Google+ Hangout later today – such a thing would not have even been possible until very recently. With the Internet we can become better informed about other people of the world and hopefully come to realize that we are more the same than we are different. Cheers to you, “it’s a small world,” and here’s to 50 more years of laughter, tears, hopes, and fears.